This is a guest post by Rangarajan V. This is the second part in the three part series. In the last post we learnt that one can improve as a presenter by paying careful attention to three aspects; thinking, making and delivering. Think about what we have to say and come up with few key messages. Our key messages should cover two things; the necessity for taking action and what is the recommended action? Storyboarding: Build a story or theme around what you want to say. Stories stick in people’s minds for a lot longer and facilitate better recall. Ensure that your story is logical and sticks to the key messages that you want to convey. Messaging: Have one key message for each slide. More than one message increases chances of confusion and, more importantly, tangential discussions! Your messages should seamlessly blend into the overall story that you create. Formatting: Pay attention to the details e.g. alignment of the chart title and the chart, page numbers at the bottom, spellings of words, colors of charts (not too bright! ), size of text etc. These small details go a long way towards demonstrating your professionalism at work. Revision: No matter how many times you have gone through the presentation, revise it before you send it out to the audience. Check the flow of the story and the key messages once again. Ideally, for important presentations, run the presentation through an unbiased third party (preferably a layman) and seek his/her opinion. The ‘layman’ test is often the litmus test for the presentation. If it can’t be understood by someone who has no context of your presentation, it may not be understood by your intended audience either (Remember: we often assume that the audience knows a lot about what we are going to speak about. It is surprising how rarely that is actually the case). Thinking clearly about the messages and making the presentation simple and visual, with attention paid to the small details will ensure ~60-70% of the wow factor is created many days before the actual presentation. But, as in chess, the end-game is where things need to be closed out. If you do not deliver (‘present’) the presentation well, the game is lost! The third and the final part will come tomorrow. 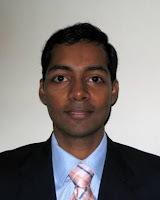 About the Author: Rangarajan has been a consultant for over 4 years with A.T. Kearney, a leading management consultancy firm that advises CXO level executives on matters of strategic and operational importance. Prior to joining A.T. Kearney, he did his post-graduation from IIM Ahmedabad. He has given multiple presentations to the Boards/CEOs/CXOs/Senior management of many leading Indian companies and brings a wealth of practical experience in handling tough presentation situations.